I love historical research. I love history – that’s probably why I enjoy writing historical fiction. 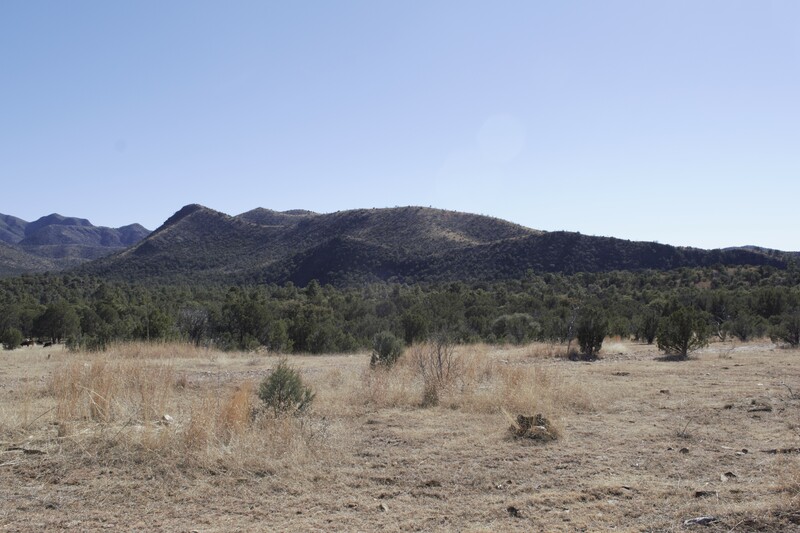 This past weekend hubby and I spent two days scouring the southern Chiricahua mountains for the site of a firefight between the US Army and Cochise’s Chiricahua Apaches in 1869. My fictional Army officer will be engaged in this event. I had questions about the location, and after searching through books and historical papers I managed to pinpoint the place I needed to see. To put myself in my character’s mind, explore his emotions, and find out who he would be after this was over, seeing the location was important for the story. Much to her great pleasure Millie came along on the road trip, riding comfortably on her bed in the back seat. 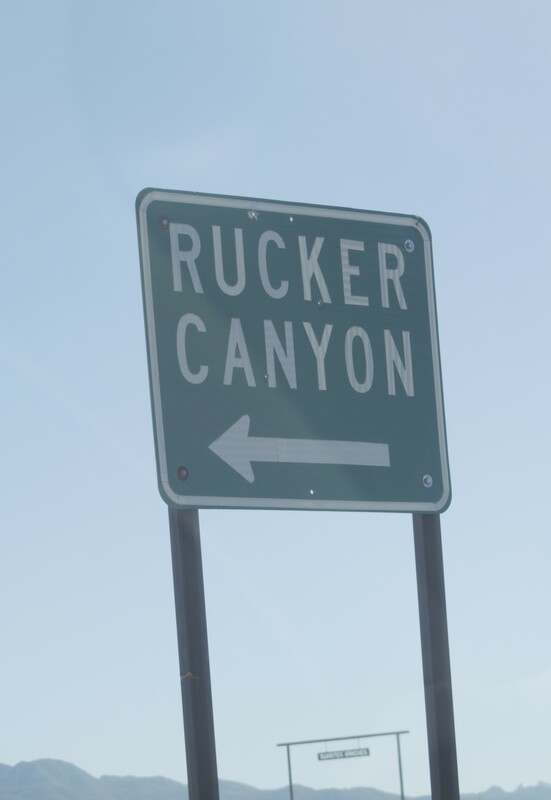 Rucker Canyon was where we were heading. 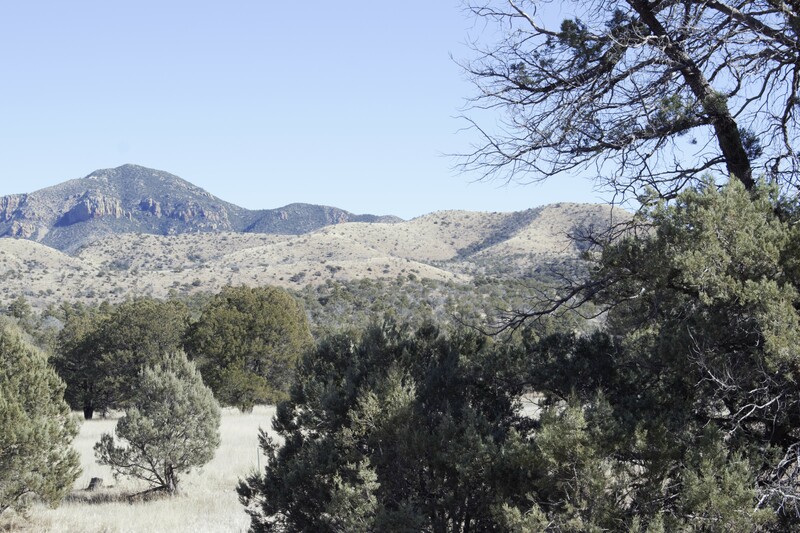 It runs between the Chiricahua Mountains to the north and the Pedregosa Mountains to the south west. The creeks were running thanks to snow melt, and the dirt roads were well maintained, with a few places I wouldn’t want to drive on if they were wet. 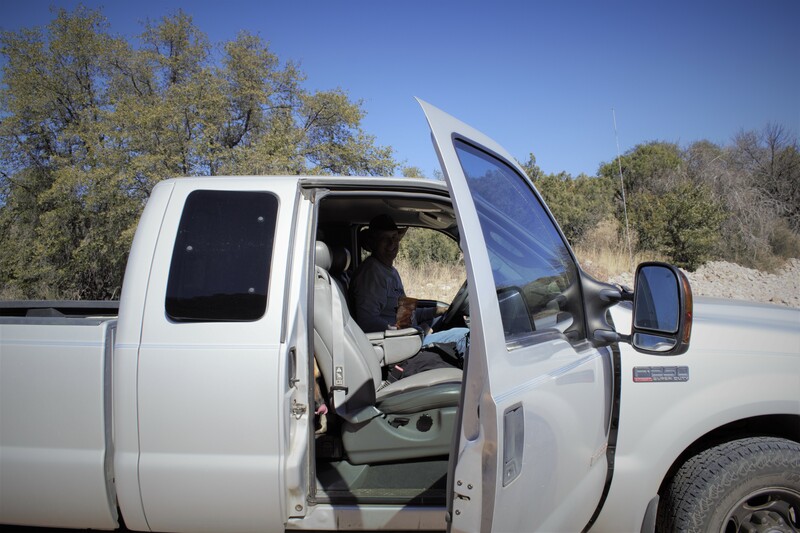 My driver did a good job getting me where I wanted to go, and he loved exploring those crude trails disguised as roads. I’m not so fond of the bouncing around on these, but he was having a great time. 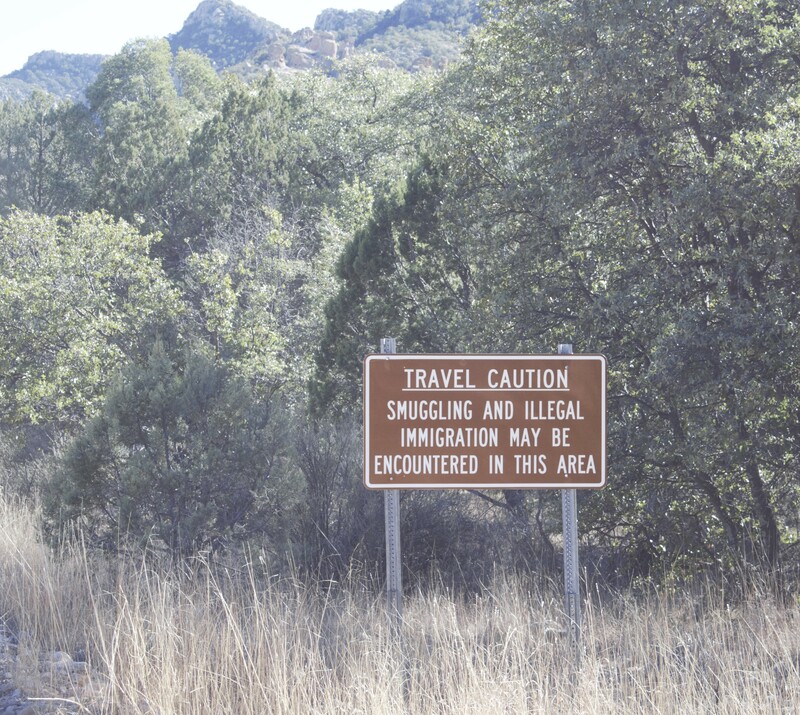 Considering we were very close to the international border we saw this sign going either direction. Gave me pause. Using our topo map and the references, we were able to pin point the bluff where the Apache warriors held off the US Army. This series of fights lasted for a month beginning in October, and resulted in both sides suffering injuries and loss of life. It also prompted Cochise to examine the cost to his people of the continued fight against the whites. He was dead five years later. Walking the area where these two groups struggled to control the land was profound for me. 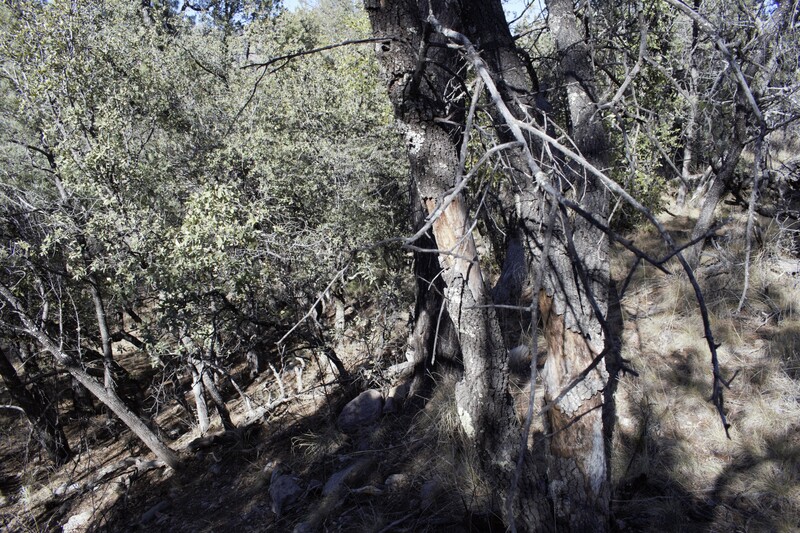 The area is a pristine, rugged, and beautiful wilderness area of oaks and junipers. The bluff was found by us, and we spent time examining it and imagining the humans surrounding it, climbing, it, hiding behind its peaks, and moving in a strategic dance of combat. I was thrilled. Left – from the south, right – from the north. The south view was a steeper approach the Army attempted but were pushed back by the well entrenched Apaches. The Army circled around to the north side which was a gentler slope, but still unapproachable. It was this activity that leads to my character’s encounter with a warrior and a crisis moment for him and his life going forward. After a bit more driving and a bit of hiking hubby suddenly stopped and said, “Here, it happens here.” He found a perfect place for the confrontation. In this area there were signs of human presence at least 100 years old. Nancy was in her happy place!! Down this slope my character will struggle and his life will change. At the bottom is a creek, and beyond that a meadow lined with trees that are good cover for the warrior. Boy did Millie like this place. She could wander and discover, glancing back at us to make sure we were near. 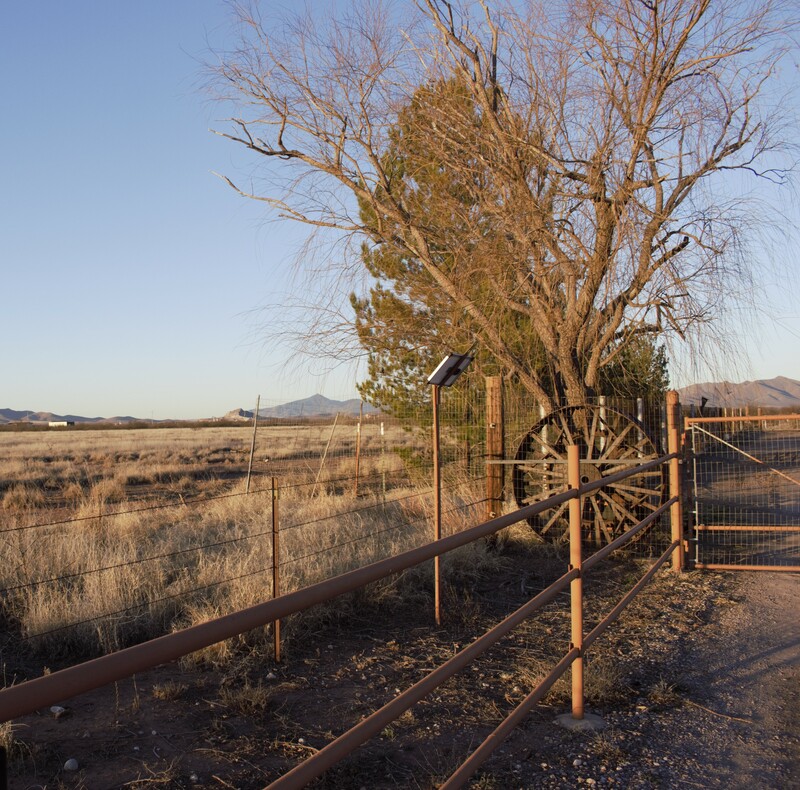 It was getting late, so we headed out for Douglas, Arizona and to the ranch home of old family friends of hubby. When I say old friends, I’m talking before marriages and kids, my father-in-law and Mr. Christiansen were BFF’s. 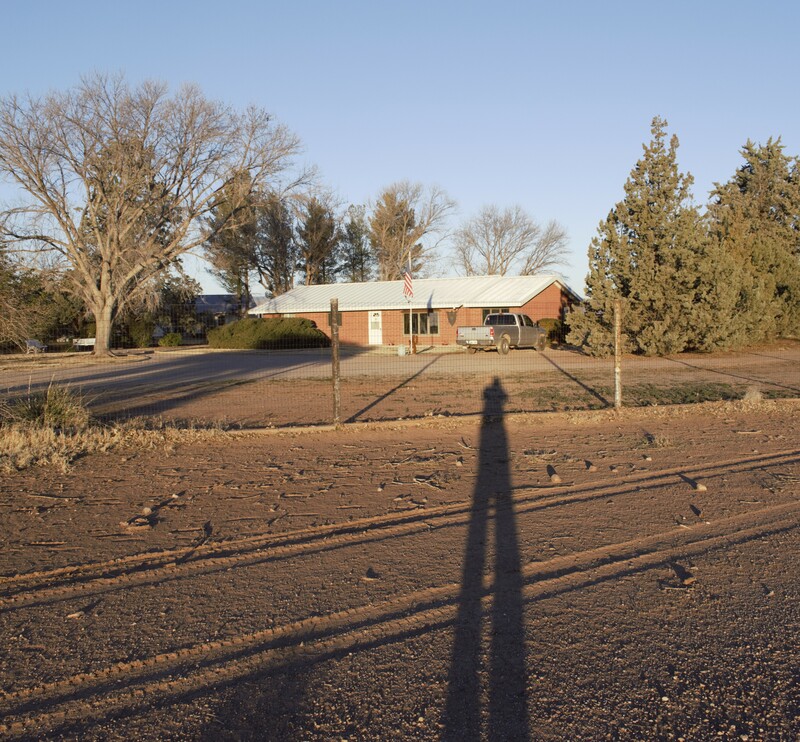 This ranch house was built in early 1960, and is one of the most comfortable, and welcoming homes I’ve visited. We chatted, laughed, looked at books and photos, walked around the land, and hubby’s memories were tickled. Millie loved this as well. She had plenty of room to run, sniff, and do her business. Our beautiful hostess, Mrs. Ursula Christiansen, made us comfy, fed us, and loved Millie. Ursula, born in Germany, married an American military man, and moved to this country. I asked her what she thought of southern Arizona when she arrived and she said she wanted to see Indians, she didn’t realize they were on reservations. The two German girls got on pretty well. 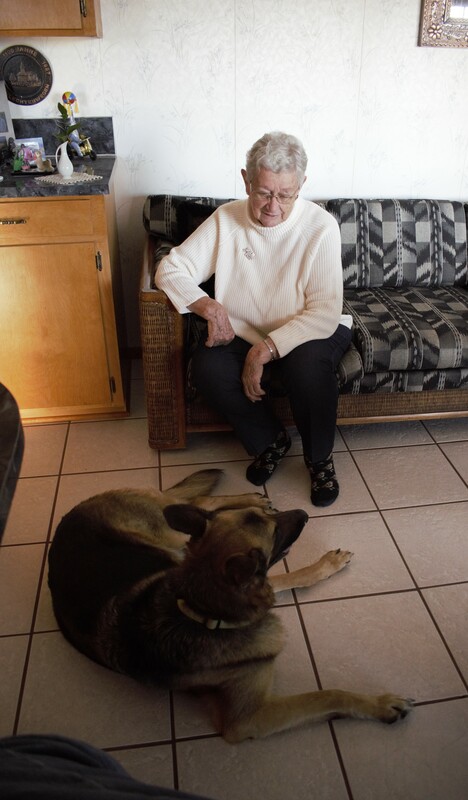 They’d had German Shepherds on the ranch, and she missed them. I think Millie sensed that. 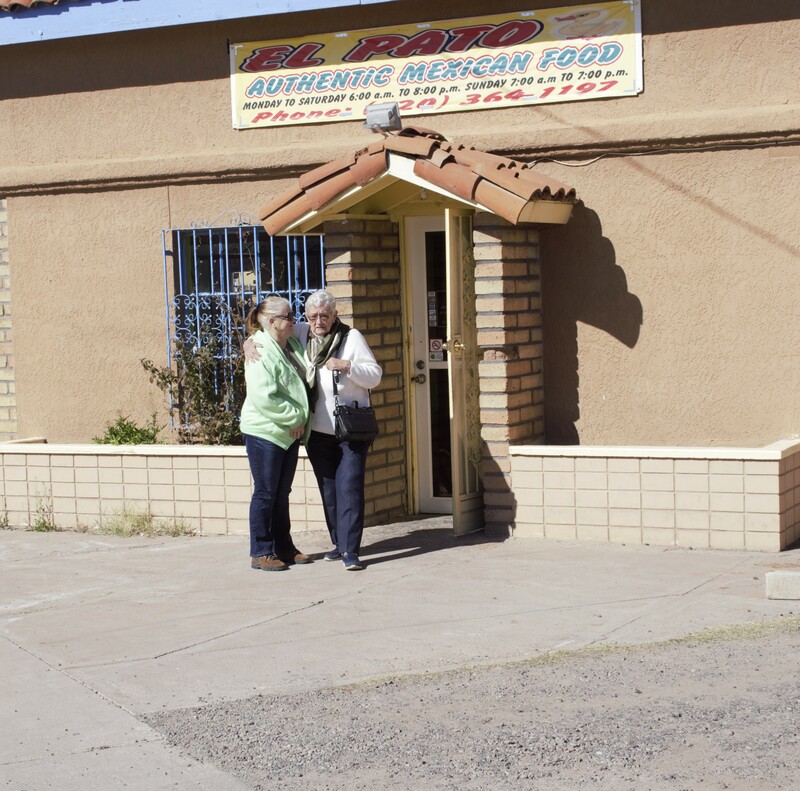 After a good nights sleep, Ursula wanted to take us to her favorite Mexican restaurant – El Pato (The Duck.) 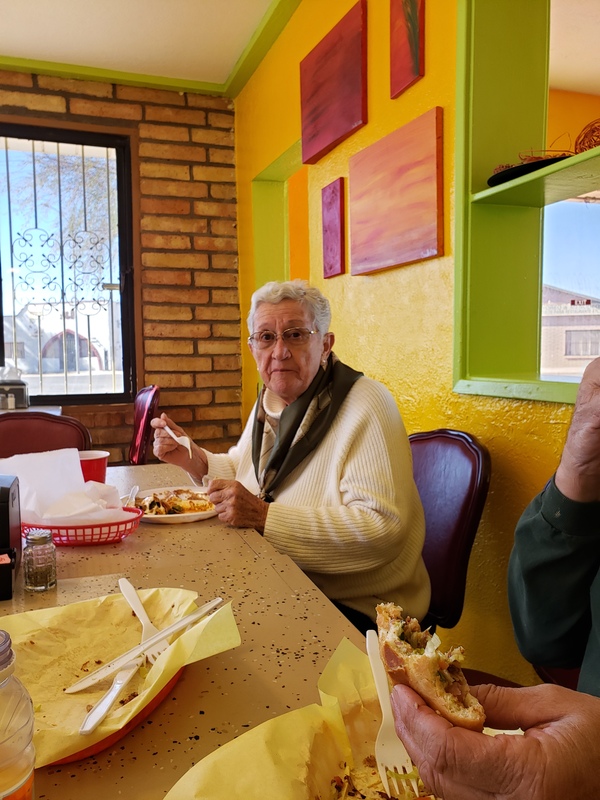 Chuck and I loved it, fresh and delicious Sonoran food. Ursula was greeted warmly by the lovely owner Alba, she introduced us, and we ordered. 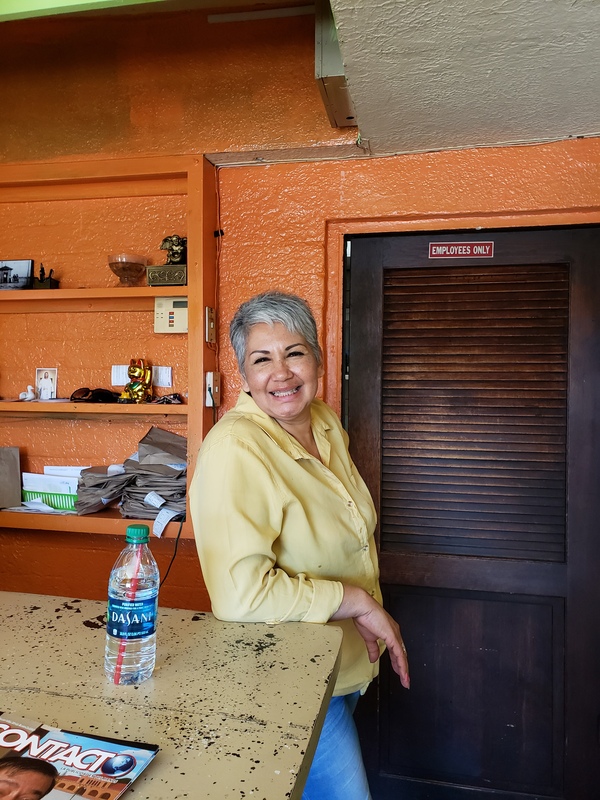 If you ever get to Douglas, AZ go see Alba at El Pato. After our wonderful meal, and full bellies we headed back to the mountain for a few hours, then home. My mind was racing with ideas, scenes, and plots. I can give the writing an authentic feel, and take the reader into the action with authority. The best part was the chance to be there, on the spot, in the location, walking the same paths, seeing the same landscape, being in history, and becoming my character. 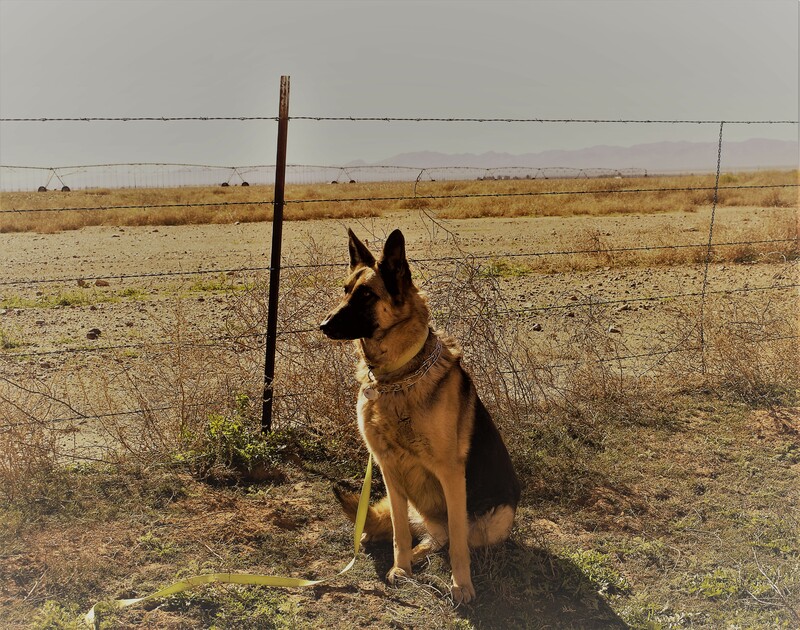 Posted on 29/01/2019 29/01/2019 by Nancy VPosted in blogging, history, hubby, Humans, pets, WriterTagged Apaches, Chiricahua, Douglas AZ, El Pato, history, hubby, Millie, research, Rucker Canyon, travel, US Army, Writing. Next Next post: Hungry While Passing Through Catalina AZ?